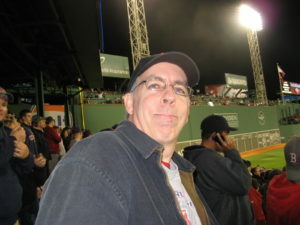 I was lucky to be at Fenway Park last night for the Sox thrilling 8-7 victory over the Rays. My friend John emailed me earlier in the day to invite me to the game because babysitting plans for his three young kids had fallen through, and his wife offered to stay home with the kids. Also a parent of three kids, I offered to babysit and have them go to the game as planned, but they insisted that I go. OK, twist my arm. So, thanks for the invite, John! John and I frequently exchange emails at key points during the season. My claim to fame is a spectacularly accurate prediction that I made when the Sox were down 3-1 to the Cleveland Indians in the 2007 ALCS. What can I say? I’m an eternal optimist. That’s what it means to be a Red Sox fan. Erik: I’m not worried. Expecting a classic game. Probably a walk-off for the Sox. With Ellsbury the hero. Did you know that a whole chunk of the right field seats are reserved for the media? These are in the same area as the Family Bargain game tickets, a program that was quietly eliminated after the 2003 season. The National Anthem involved Japanese drum players and a brass ensemble. Cool. Curt Schilling threw out the ceremonial first pitch. Double cool. The first six innings. Uncool. Sox down 7-0. After the first three innings, I told John that we were going to break the game into thirds. The Rays won the first third. The second third was a draw (0-0). And then there was the third third. This is one of the reasons that I love baseball. Baseball is the most democratic game in the world. Each player gets three strikes per at-bat, three at-bats per game (typically). Each team gets 27 outs. It doesn’t matter if you get two strikes. It doesn’t matter if you get 26 outs. It doesn’t matter if you’ve won three games in a best-of-seven series. And in the case of the Rays, it doesn’t matter if you’re within seven outs of a trip to the World Series with a seven-run lead. 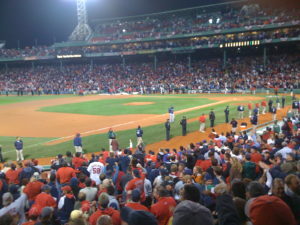 Plus I was wearing my Yaz shirt (number 8) to the game, and “8” proved to be the lucky number for the Sox last night. Before the game, news spread that the Rays had eight cases (eight!) of champagne chilling in their clubhouse. Practically, a team has to be prepared on a night that it can clinch, but still, the news provided motivation for the Sox. When you’re down 3-1, as the Sox have been in the past, the pressure is off. The pressure is on the other team to seal the deal. As John said, when you overcome a 7-0 deficit to win 8-7, there are lots of heroes. And lots of moments that stand out. Here are some that stood out for me. When Jonathan Papelbon entered the game in the seventh inning, the crowd really got into the game. The energy level was noticeably higher. Fenway Park was noticeable louder. The fact that he came into the game in the seventh meant that the Sox were serious about winning this game. Tito rules, Papelbon rocks. 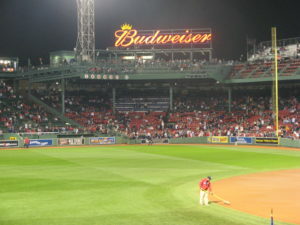 In the bottom of the seventh, Fenway Park got to its feet when Dustin Pedroia stepped to the plate. The entire park would remain standing for the rest of the game. I’ve never seen anything like this. With two outs, Pedroia singled to right, scoring Jed Lowrie and sending Coco Crisp to third. Then came Big Papi (David Ortiz) who hit a no-doubter home run to right to bring the Sox within striking distance. In the eighth inning, J.D. Drew hit a two-run home run. And then, another turning point. John and I both commented that with two outs and nobody on, the Rays outfielders were all playing very shallow for Mark Kotsay. Like eight-steps-in shallow. They have apparently been playing him like this all series. And what does Kotsay do? Doubles over B.J. Upton’s head (and off his glove) in center field. Positioning on that play was huge, and that’s not something the TBS broadcasters are smart enough to notice. It was a huge play. Then came Coco Crisp’s at-bat, which was as epic as they come. Fenway Park was expecting the epic at this point. 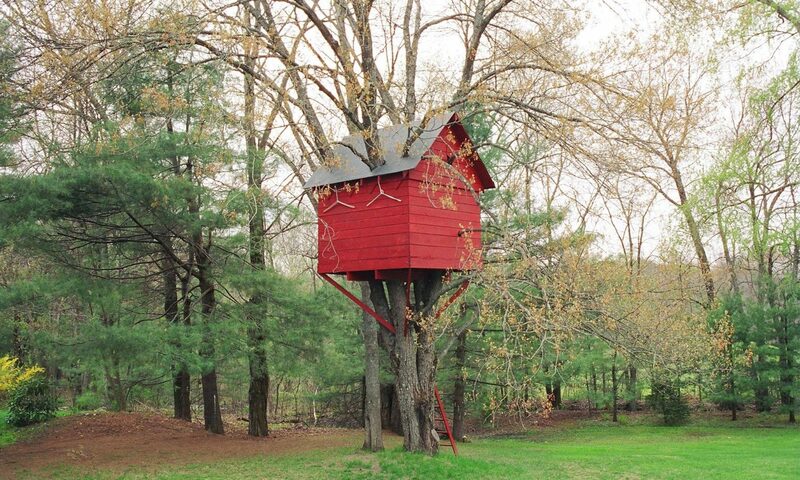 I have always believed in the improbable. 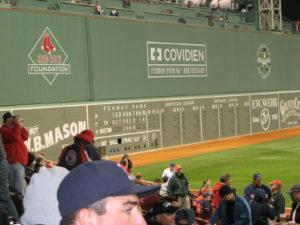 I went to a game against he Rangers this year where the Sox won 10-0 by scoring nine runs in the second inning. Anything can happen. I videoed most of that at-bat (see below) because I knew something great was going to happen. Of course, it did, Crisp singled to drive in Kotsay. Game tied 7-7. And by now you’ve probably seen the 9th inning. 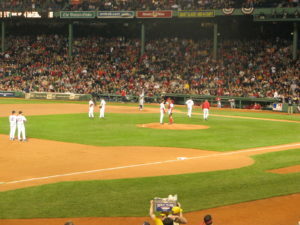 with two outs, Youkilis hustled to get an infield single and forced the Rays third baseman Evan Longoria to rush his throw, which ended up bounding into the stands, sending Youk to second base as the potential wining run. The only question was who was going to get the walkoff hit. The Rays walked the (on this night cold) righty Jason Bay to get to the (on this night hot) lefty J.D. Drew to set up the “desired” lefty-lefty match-up. And Drew hit a liner over the head of right fielder Gabe Gross for a walkoff ground-rule double. Actually, I’m not sure if that got scored a double or a single, but whatever. The Sox won a thriller. It seems that the Sox just don’t win Game Fives, then win Game Fives in dramatic fashion (for Sox fans), which translates to crushing defeats for Sox opponents. The tables have turned. I like our chances in Game 6 with Josh Beckett on the mound. I like our chances in Game 7 with Jon Lester on the mound. I won’t say that I slept well last night. I didn’t get to bed until 3:00 am, and I didn’t sleep very much because I (still) have too much adrenaline flowing through my body. 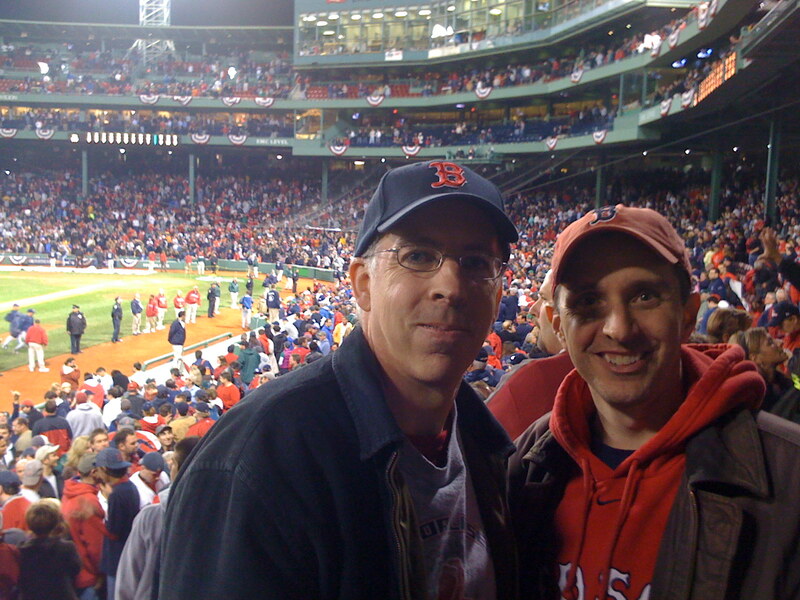 I did, however, go to bed wearing my #8 Yaz shirt – and “8” was the lucky number for the Sox in Game 5! Four games, 27 outs, 3 strikes. I love baseball! P.S. Dear Dad, thanks for taking me to Red Sox games when I was a kid. Dear Mom, thanks for writing to Yaz to get his autograph for me. [This video is copyright 2008 Erik J. Heels (see erikjheels.com) and is NOT subject to DMCA takedown by MLB. So there.] 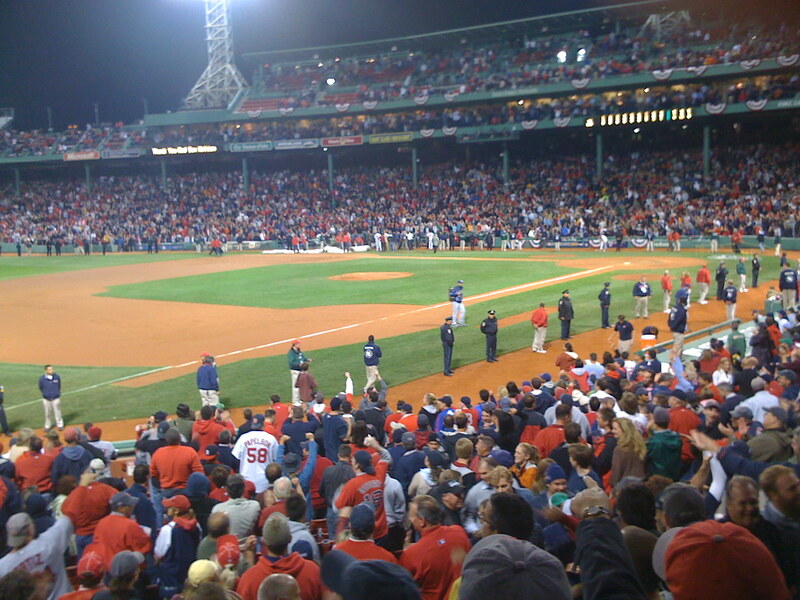 The Boston Red Sox defeated the Tampa Bay Rays in the 2008 ALCS Game 5 at Fenway Park 8-7. Here’s my home video of Jonathan Papelbon entering the game in the 7th inning, which was one of many turning points in the game, and which changed the mood of the Fenway fans. [This video is copyright 2008 Erik J. Heels (see erikjheels.com) and is NOT subject to DMCA takedown by MLB. So there.] 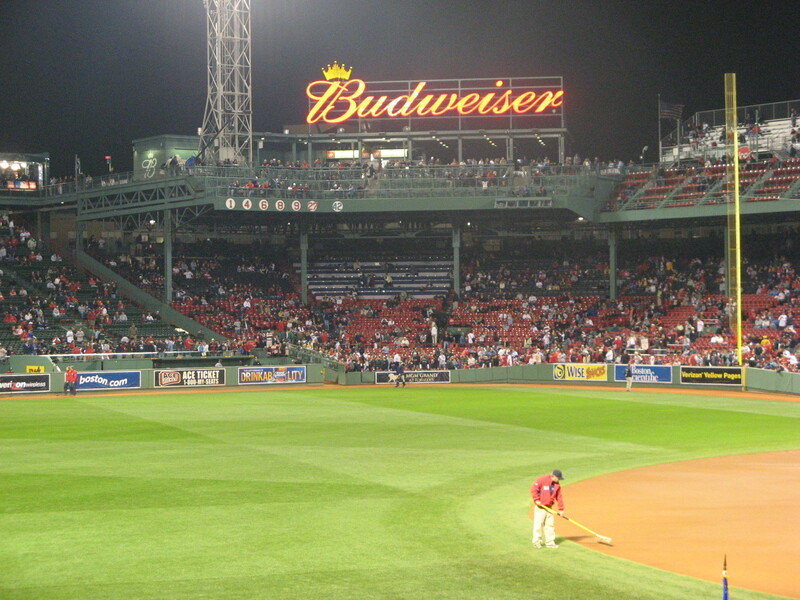 The Boston Red Sox defeated the Tampa Bay Rays in the 2008 ALCS Game 5 at Fenway Park 8-7. Here’s my home video of the celebration after a three-run home run by Big Papi (David Ortiz) in the 7th, which was one of many turning points in the game. [This video is copyright 2008 Erik J. Heels (see erikjheels.com) and is NOT subject to DMCA takedown by MLB. So there.] 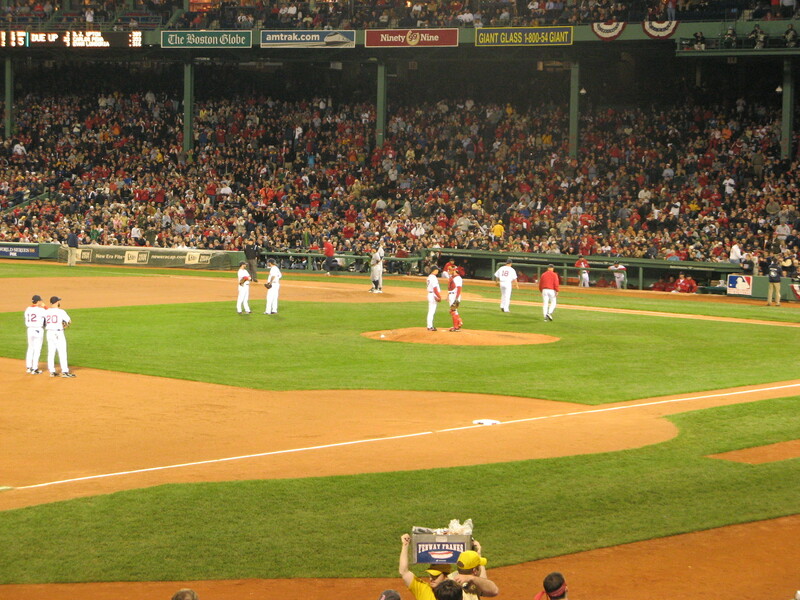 The Boston Red Sox defeated the Tampa Bay Rays in the 2008 ALCS Game 5 at Fenway Park 8-7. Here’s my home video of most of Coco Crisp’s epic at-bat in the 8th inning, which ended with Coco singling in the tying run, and which was one of many turning points in the game. You have to wear your #8 Yaz shirt on saturday now, and also dont wash it! Awesome post, Erik. I feel horribly disloyal for turning it off, though I was checking the score up until I dropped off to sleep. I just don’t know how much more of this sort of thing I can take! Ooooh. What font is this? Verdana very small? I find it much more attractive in small sizes and quite dislike it at 9 points and above. And don’t forget the foul balls rolling up to the top of the screen and then falling straight down to fans (rather than back down the screen to the ballboy). I’d never seen this before, and it happened at least 3 times. Another omen. One of my favorite post-game factoids that I picked up. 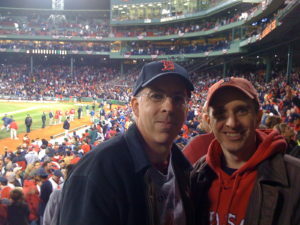 The Sox won that game 5 years TO THE MINUTE after Aaron Boone’s homerun in game 7 of the 2003 ALCS (a game which I was also at). Pirjo told me you were going, so I hung in there with ’em. Stayed up ’til the end, knowing that you wouldn’t give in. Glad your loyalty was duly rewarded, my man!